My hair, is my pride and joy. After a hair dye disaster I cut my hair short, much shorter than I'd ever had before, and I started growing it out. Much later after that disaster, around 2 years ago I went to a new hairdresser and had my black dye lifted out to a very dark brown. 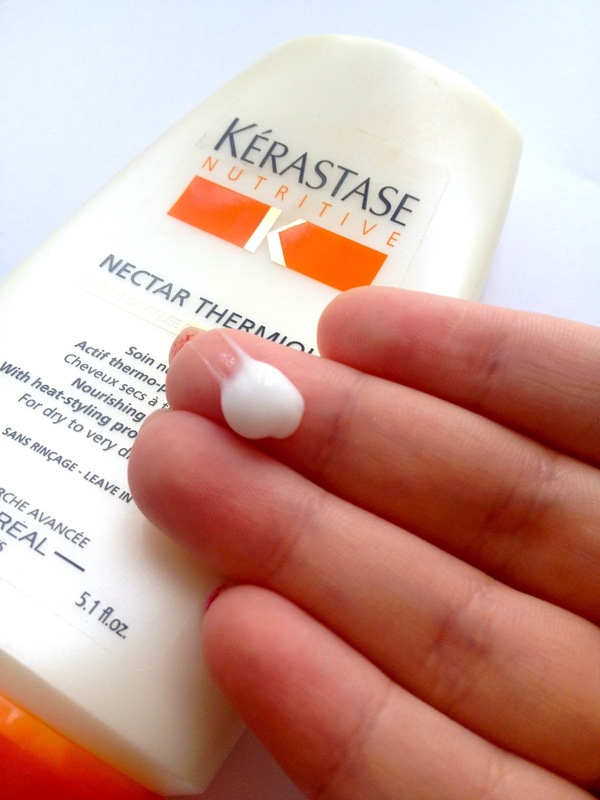 She had used two products on me that made my hair feel so soft! I bought them both (online, for cheaper prices). 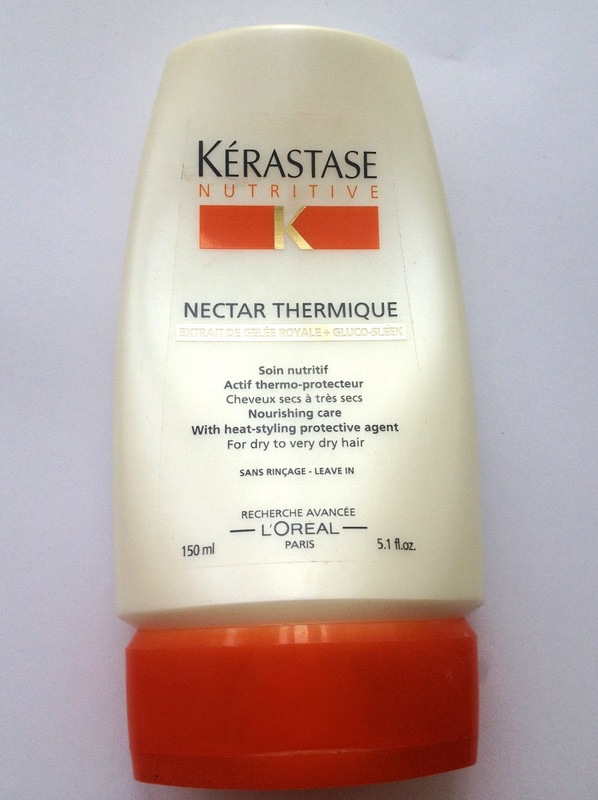 One of the products, was Kerastase Nectar Thermique, now I'd heard it mentioned before and seen it on blogs, and I'd used one product from the brand before, a hair masque, but I'd never used any Kerastase styling products before as they are quite expensive at £18.90 a pop! This product can be bought for around £16 online. This product is a hybrid of leave in conditioner and heat protectant as well as smoothing your hair and preventing frizz. It's a thick, white cream, which you apply a 'walnut sized amount' to your hands and then rub through your hair, I apply this mainly to the ends of my hair but as it's my heat protectant, I also take a light amount right up to the root, but very lightly. I find this product gives my hair so much shine, and does product my hair from the heat effectively. This is brilliant if like me, you regularly fail at using a spray in heat protectant (I also hate the smell of almost all of them!). This product smells really good, it's lightly fragranced but I can't described what with, it's a nice, and inoffensive smell. I'd actually put my hairs growth in the past two years partly down to this product. Of course, it doesn't make my hair grow, but it does protect your hair from the heat and condition it, and I think this has meant that at my regular trims, my hairdresser has taken much less off and my hair has grown much longer and so much healthier than it did in life before this product! I had a small period of time when I didn't have this product and bought it back as soon as I could. If you're after a smooth blow dry, some heat protection and a little bit of extra conditioning, then this is a great product.